Paytech firm Wirecard has partnered with wearables brand Fitbit to offer contactless payments using Fitbit Pay. 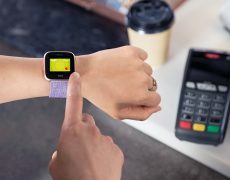 In the coming weeks, all Fitbit Pay customers in Europe will be able to use Wirecard’s boon offering, which the vendor describes as “an easy and secure fully digital payment method to make mobile payments at the point of sale (POS) – so they can leave their physical wallets at home and be mobile phone free”. Users from Italy, Ireland, Spain, Switzerland and the UK will be able to add their digital boon cards to Fitbit Pay and make purchases with their Fitbit Ionic or Fitbit Versa smartwatch devices at any POS terminals that accept Mastercard Contactless. Georg von Waldenfels, EVP consumer solutions at Wirecard, says “boon customers can now lock away their phones and worry less about their belongings during sporting activities without compromising their daily activities”. Wirecard emphasises that boon is “the industry’s first fully digitised mobile payment solution that works completely independent of banks and network operators”.